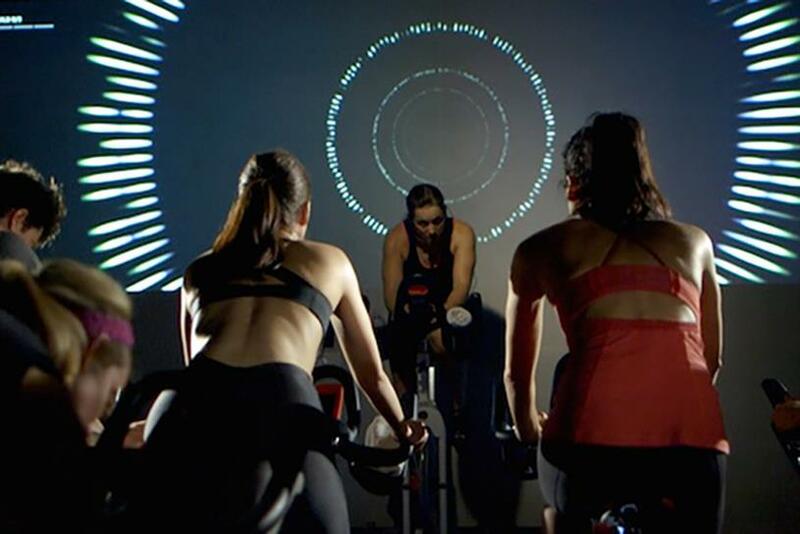 In Equinox's The Pursuit, data from each bike is collated in real time. AUSTIN — It's a curious thing with events like SXSW Interactive: The ambient, unconscious trends can be just as telling as the ones being touted and discussed in panels. I always look at what participants are wearing, what apps they're using, what they're eating and drinking. (Well, perhaps not the fashion at CES, which is uniformly slacks and plaid shirts). This is a big group of influencers and leaders, after all. Beyond the gym freaks, another key theme on Saturday was sustainability — again (as it should be). Alongside talking about his new emotional visual sharing app "Super," which he claims will redefine social connectivity, Biz Stone spoke of the importance of CSR. "The future of marketing is philanthropy. Young people in particular are attracted to companies with meaning," he said, adding that increasingly companies will need to do more CSR and philanthropy to retain Millennials as employees. Patagonia CEO Rose Marcario also led a passionate discussion about innovation in sustainability. Day 3 and the sneakers are on for another — somewhat weary — 7 a.m. workout.